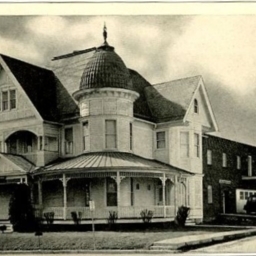 Postcard showing the site of Dellinger Funderal Home in Mt. Jackson Virginia and its fleet of vehicles. 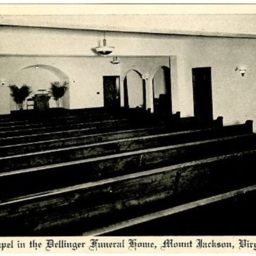 Postcard showing the interior of Dellinger Funeral Home's chapel in Mt. Jackson Virginia. 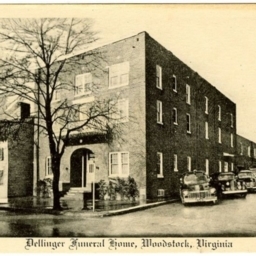 Postcard with a picture of Dellinger Funeral Home in Woodstock Virginia and their fleet of private ambulances.